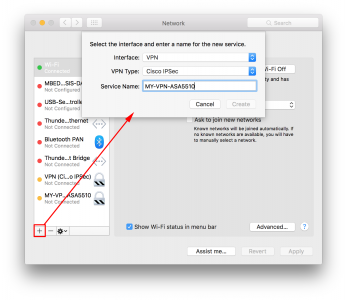 Here we are dealing with the older IPSEC VPN method of remote VPNs, NOT AnyConnect. There is/was a VPN client for Mac OSX which you can still download. 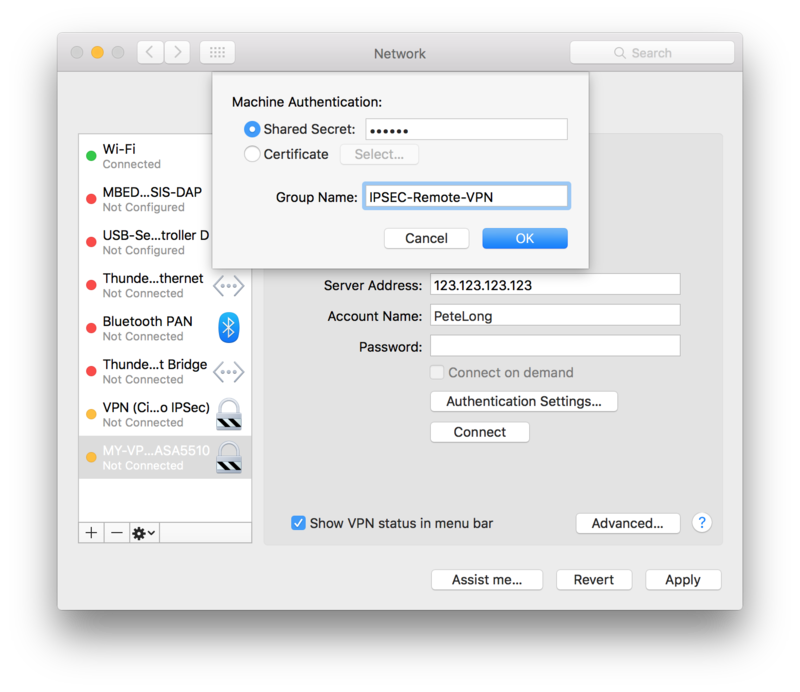 But modern versions of OSX have the Cisco IPSec VPN client built into them. 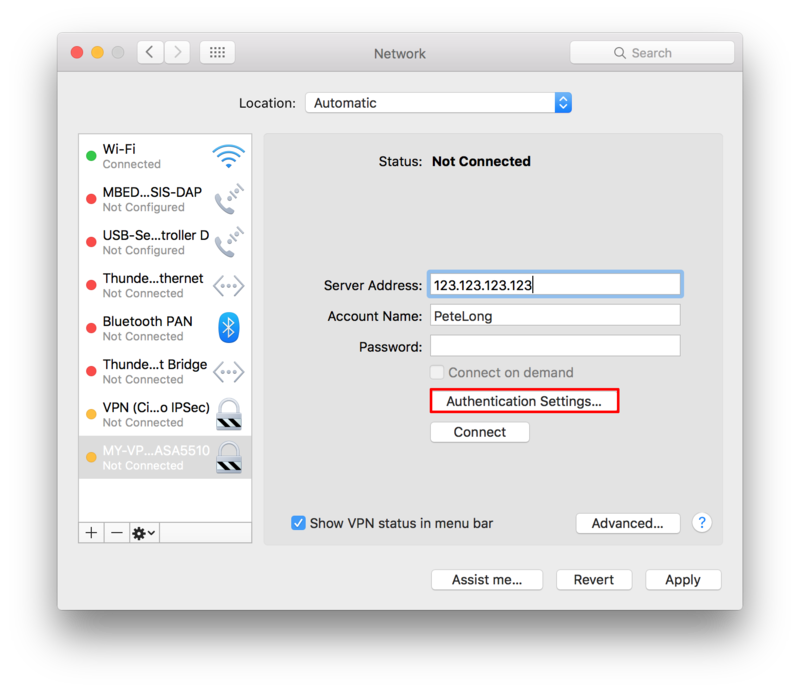 Server address is the public IP, (or name if you have DNS setup*) of your Cisco Firewall > Enter your VPN username > I don’t put in the password, so I will have to type in in manually > Click Authentication Settings. 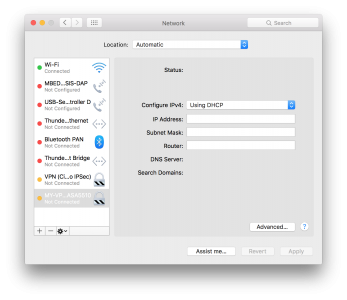 *For DNS you will need a static public IP, and a registered domain name. The ASA DOES NOT support DNS updates to online services like DynDNS or No-IP etc. It does support DDNS but means the server that leases you your public address is supposed to update your DNS for you, and unless you are your own ISP, and you host your own public DNS records, this wont work! Here you need to supply the ‘shared secret’ for the VPN tunnel, and the Group Name. Your firewall admin should give these to you. 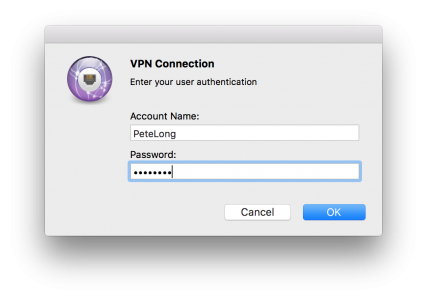 If they don’t know, tell them to run ‘more system:running-config’ on the firewall and give you the shared secret and ‘group-policy’/’tunnel-group’ name for this remote VPN > OK.
Nearly every time you use DHCP, the firewall with either lease you an address from a ‘pool’ of VPN addresses, or broker the connection, and use your internal DHCP server. 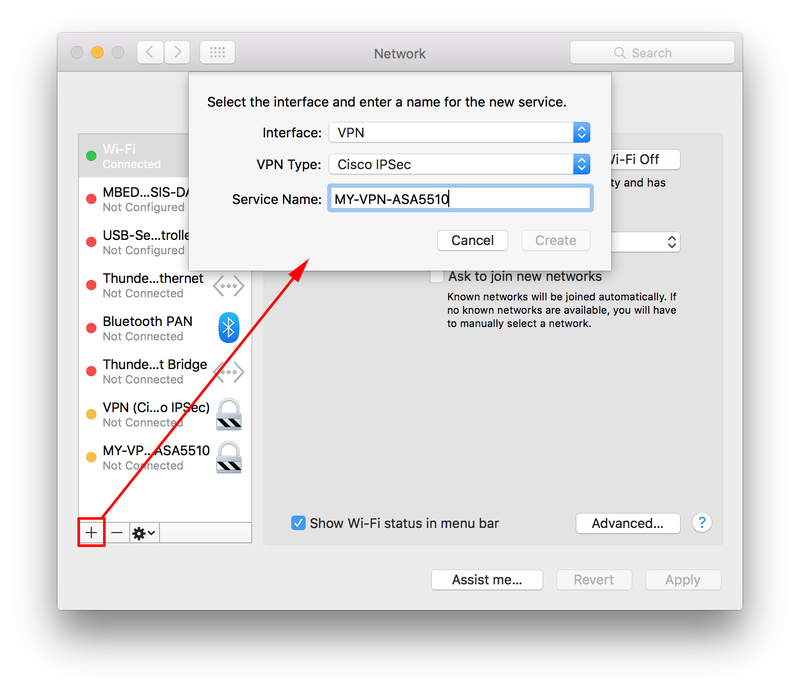 Now to connect the VPN, select the icon shown, and click your Cisco VPN, (in the picture I have two). If you didn’t put your password in during setup, you will be prompted to enter it to continue. With all things Cisco, if there’s a problem your easiest way to a solution, is to run a ‘debug’ on the firewall. Execute the following two commands on the firewall, and attempt to connect again, this should point you in the right direction.